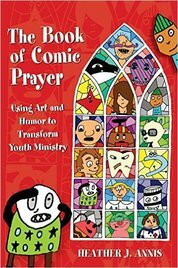 Sparkhouse - ELCA Publishing house for kids, creates faith formation resources for children, youth, and adults-- striving to spark new life in Christian communities. 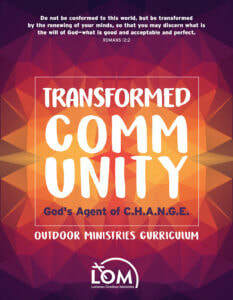 Curriculum for classrooms, lectionary, theme-based, rotation models and also transferable as VBS lessons. Frolic, is a family of early childhood resources that integrates faith development and child development both at church and in the home! Frolic resources help keep your church connected to active families with young children. *Invite parents and their little ones to Frolic Faith Development classes based on the Frolic First Bible and books. *Transform your nursery into an intentional ministry site with the Frolic Nursery Guide and other Frolic nursery resources. *Connect with families each month by automatically sending them personalized e-newsletters packed with articles on child development, tips on early faith formation, and fun seasonal activities and ideas. Augsburg-Fortress - The publishing house of the ELCA featuring a variety of resources for education as well as supplies for ministry. Consider their communion materials Fed and Forgiven. And Confirmation material. ELCA Youth Gathering Curriculum NOT JUST for those going to the youth gathering. Use it! It's great curriculum. Did I mention it's FREE?! A Place for You Starter Pack -written by Daniel Erlander. This pack contains A Place for You Interactive Edition, A Place for You Leader Sourcebook, A Place for You, Little One board book, and A Place for You Animated Videos. 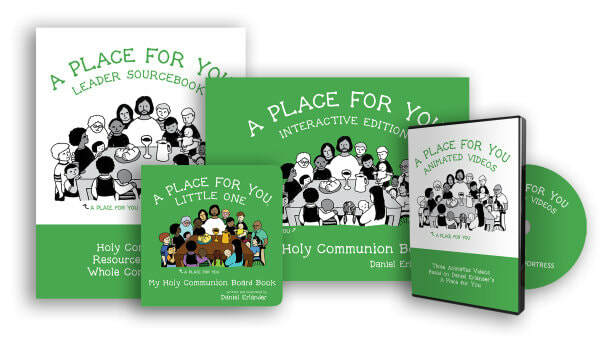 Gives you the components you need to introduce or reintroduce your congregation to Daniel Erlander's beloved classic, A Place for You: My Holy Communion Book. ​ Watch a video about the products here. The Confirmation Project - The Christian Youth: Learning and Living the Faith Project (CY: LLF) seeks to learn the extent to which confirmation and equivalent practices (CEP) in five Protestant denominations in North America are effective for strengthening discipleship in youth. The Book of Faith (variety of Bible resources can be adapted for junior high and high school) For example: "Heaven on Earth: Studies in Matthew"
Faith Lens - Written with teenagers in mind, it is a weekly (during the school year) look at the lessons that uses current events and relevant questions to get people talking. Put out by the ELCA. Lutheran Peace Fellowship - Offers ideas for many ages, including computer games targeted for kids around social justice issues. Storyboard by ELCA Pastoral Intern Heather Roth Johnson. "I am storyteller, public speaker, workshop leader, writer and in general just a creative soul. Contact her about narrative lectionary curriculum. Spirit and Truth Publishing - Spirit and Truth Publishing produces faith formation resources for all ages integrating education and worship, with products related to the liturgy, church year, and the Narrative Lectionary. Clergy Stuff - Provides Narrative lectionary based curriculum, liturgy helps, original music, children's bulletins and pays attends to special needs children. Spill the Beans - A quarterly resource with a Scottish Flavor for Worship Leaders, Sunday Schools, and Youth Leaders based on the Narrative Lectionary. Uses inclusive language and hands on activities. Church Publishing Inc. - the official publisher for the Episcopal church offers a wide variety of books and curriculum for children and youth ministries. Godly Play - "assumes that children have some experience of the mystery of the presence of God in their lives, but that they lack the language, the permission and the understanding to express and enjoy that spiritual experience..." It provides a way of storytelling that invites questions of wonder about God and is appropriate for all ages. Lesson Plans That Work! - Lesson plans are written by experienced church teachers using practical approaches to respond to the needs of volunteer teachers. They are designed to follow the Revised Common Lectionary and published by the Episcopal Church. Rowsofsharon.com (for children) Rowsofsharon.com (for youth) by Sharon Ely Pearson offers a curated chart of curriculum resources. LeaderResources offers a collection of downloadable Christian Formation Resources --- for children’s ministry and youth groups including Sunday School and confirmation curriculum, leadership training as well as retreat speakers, trainers or a consultant in religious education and youth ministry. While grounded in the Episcopal Church, they serve all denominations and people of faith. Forward Movement - Episcopal resources for children through adults. These Are Our Bodies addresses foundational issues for how we are called to have conversations about our sexuality within a faith community. Looking at sexuality through the lenses of growth and change, we can explore values and intentionality. Individuals and churches can use this technique to build upon this theological grounding. Discusses sexuality starting from the age 3, written by Episcopalians. Cokesbury - is the retail division of The United Methodist Publishing House. Our mission is to reach more people in more places with quality services and resources that help them come to know and deepen their knowledge of God through Jesus Christ, learn to love God, and choose to serve God and neighbor. Practical Resources for Churches - terrific resources for evaluating Sunday School Curricula and tips for supporting teachers. Branching Out: Connecting Through Christ has everything needed for up to 7 days of residential and overnight camp programming or 8 weeks of day camp. The Bible stories encourage campers to use prayer, relationships, family, and more to stay connected throughout their lives. Camp Hope Ministries - Provides VBS for elementary aged kids while training middle school and high schoolers to be a leaders-overseen by a college student and adult staff. VBS on Location! Imagine instead of coming to a church building, going out into the community and telling relatable Bible stories there! Bringing the Gathering Home - We are excited to share the latest in our curriculum resources that explore the theme "This Changes Everything." In partnership with LuMin Campus Ministry Network and the Lutheran Outdoor Ministries Network, we have created three cross generational sessions and three sessions to be used in young adult ministry contexts. Each curriculum seeks to continue conversations started this summer at the Gathering, at camps and in congregations about God's grace, love and hope changing everything for us through the life, death and resurrection of Jesus. Process verses Product Art example... hugely important and hugely different! Ooey Gooey, Inc. -is dedicated to the creation of child-centered, hands-on, play-based environments for young children and provides workshops, training, technical support and curriculum resources to those who wish the same. Lisa Murphy, M.Ed., early childhood specialist, author, founder & CEO, is available for both domestic and international conferences and seminars. Go to Grow - This program planner from the ELCA is intended to assist Christian education leaders as they engage adults, youth, and children in a life of discipleship. Grow to Go is designed to especially help you equip children to be “disciplemakers” and to instill an assurance in their identity that they too are called to “go tell” in the world. Lifelong Faith Associates - A Catholic website chalked full of good background material on the benefits of intergenerational ministry as well as resources for how to do it. Check out this link here for a specific resource. GenOn Ministries includes intergenerational curriculum. Check out sample resources here. ​Engage - Youth Ministry & Contemporary Issues by the Institute for Youth Ministry at Princeton. My Neighbor is a Muslim - A FREE resource from Lutheran Immigration and Refugee Service that helps your audience learn more about what it means to be a Muslim. Jesus taught us to love our neighbor, learning about who our neighbor is and about their faith are steps in this direction. Communion - ELCA Pastor Brian Hooper provides a great example of a congregational letter talking about "first" communion changes. Feasting on the Word written by mainline Protestants follows the lectionary. Great theology and good resources for all ages. Progressive Christianity - offers a 6-10 year old curriculum focusing on Jesus' example of compassion and inclusivity. Sample lessons for A Joyful Path curriculum can be found here. BimBam - BimBam (formerly G-dcast) is a new media studio making Jewish videos, apps and animated series that are joyful, empowering introductions to Jewish ideas and life for kids & adults. Teach Bible Stories with a Parachute! -Examples of using parachutes to engage children with Bible stories. Christine V. Hides is the Director of Ministries with Children and Youth at Northbrook UMC and Content Manager for Christians Engaged in Faith Formation. ​First Third of Life Church Booklet - Westwood Lutheran Church has an in-depth take home booklet outlining their faith formation mission and strategy. Get some great ideas here! Building Faith Brick by Brick by Emily Given offers a culturally relevant, hands-on way to explore faith stories with a broad range of ages. 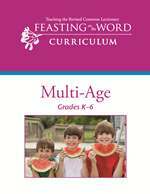 This book offers the methodology as well as thirty Old Testament and twenty-four New Testament stories with lesson plans. ​"Saying Is Believing establishes Amanda Drury as a new and compelling voice in practical theology, a pacesetter for a generation of scholars convinced that the way we form young people's faith profoundly affects our own." 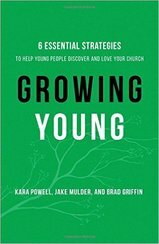 Fuller Youth Institute has a new book out called "Growing Young: Six Essential Strategies to Help Young People Discover and Love Your Church"
The Book of Comic Prayer: Using Art and Humor to Transform Youth Ministry by Heather J. Annis - Check out Annis' theologically sound as well as practical book on the role of comics to enter into the faith journey. I was not a fan of comics until Annis convinced me what a wonderful way this art form can be used to talk about faith. Must read! VBS: Who is My Neighbor?ELCA World Hunger is thrilled to invite you to explore our new VBS curriculum for 2019, “Who is My Neighbor?” This curriculum is a FREE resource that is now available to order and download! “Who is My Neighbor?” invites children and youth to re-imagine what it means to be neighbors in Christ. Based on the Good Samaritan story, this full, five-day program contains skits, games, crafts, snacks and intentional activities for children to enjoy and learn how our faith calls us out into the world to love and serve our neighbors. VBS: God's Good Creation from ELCA World Hunger. Helping children learn about hunger, hope and the work to which God calls us in the world is key to ending hunger for good. The themes for each of the five days of vacation Bible school in this program are drawn from projects supported by gifts to ELCA World Hunger. We encourage you to support ELCA World Hunger; the craft suggestion for the first day – a goat bank – can be a great way to do this! The days are divided into four main sections: a large group opening, “family” time with small groups, rotations of activities and a large group closing. Please feel free to adapt this anyway that you like! In the first pages, you will find a daily overview and a sample schedule, with customizable schedules that you can copy and hand out to group leaders for quick reference. Virginia Theological Seminary reviews several here. Be sure to select a program that mirrors the mission and theology of your church and community. RENEW - A Lutheran curriculum from Sparkhouse. This 100% downloadable is a 5-day curriculum that empowers kids in grades PreK-Grade 6 to grow in faith, have fun, and change the world. Each day, kids will explore Jesus’ Parable of the Sower with 3 age-appropriate activities that help kids learn how to care for God’s creation. Transformed Community VBS - Lutheran Outdoor Ministries 2019 VBS package includes all you need to run your own Vacation Bible School program: 5 full days of Bible Study designed for lower and upper elementary students, crafts, games and the This Changes Everything graphics. Priced at only $100. God’s Agent of C.H.A.N.G.E. conjures up images of a mighty band of superheroes with secret missions. When we take on the mission of being God’s agent of change in the world, we must be ready to be transformed—individually and together—and to discover that our not-so-secret identities will probably not conform to the world’s expectations. Lutheran Outdoor Ministries VBS - The VBS Packages from years past include: Curriculum Development Bundle, Preschool Bible Study, Day Camp/Lower Elementary Bible Study, Upper Elementary Bible Study, The Water of Life” Crafts, The Water of Life” Games, The Water of Life" Graphics. Divertirse con la Biblia es el programa perfecto diseñado para niños y pensado para profesores que manejan un presupuesto ajustado o que buscan un enfoque bíblico más simple. Cada libro contiene una colección de 13 lecciones bíblicas para niños con un plan de apertura, una historia bíblica, actividades, canciones y manualidades. El material no tiene fecha. Así los maestros y las maestras lo pueden utilizar durante todo el año. Historias de Jesús presenta lecciones que exploran la vida y el ministerio de Jesús. All-in-One Bible Fun is the perfect children's program for teachers on a budget or looking for a simpler approach. Each book is a collection of 13 Bible lessons for children containing a plan with opening, story, activity, and craft. The material is undated so teachers can use throughout the year. Stories of Jesus features lessons exploring the life and ministry of Jesus. 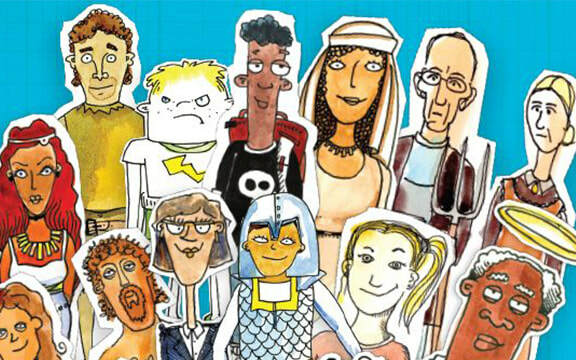 Zona Bíblica is an exciting, innovative, Bible-based alternative for Sunday school and other Bible study curriculum. Children will have fun as they immerse themselves in the Bible. Each quarter, materials are provided for three age levels: Ages 3-5, Grades 1-3, and Grades 4-6. 13 lessons per study. Para Jóvenes está escrito por autores hispanos y analiza temas de la vida que los jóvenes (edades de 13-18) enfrentan hoy en día. Los adolescentes podrán aplicar la Biblia a su vida cotidiana. Cada descarga electrónica incluye de 3 a 5 sesiones y proporcionan actividades y preguntas para discutir. These bilingual (Spanish-English) Bible lessons written by Hispanic authors examine life issues that teens age 13–18 face today. Based on passages from Ecclesiastes, Songs of Solomon, and Esther, each electronically downloaded lesson includes 3–5 sessions of Bible teachings, activities, and class discussion applicable to daily life. Los Angeles de Adriana - A children's picture book about angels with us in difficult moments. Catecismo Menor por Martin Luther - Spanish Language translation of Luther's Small Catechism into contemporary Spanish that is sensitive to texts used in Spanish liturgies, Bibles currently used in classrooms, traditional order of the parts of the Catechism, and Luther's German translation of biblical texts. Lutheran Basics -El recurso sobre "Los Fundamentos Básicos de la Teologia Luterana," es un recurso que se ha adaptado al español para ayudar al creyente a crecer en entendimiento, apreciación y direccion de la fe cristiana. El lector podrá examinar estas enseñanzas cristianas desde una perspectiva luterana. Discipulado es un programa de 34 semanas en el cual se proporciona un repaso básico y general de toda la Biblia, desde el Génesis hasta el Apocalipsis. Incluye un manual de estudio y ayudas para los profesores. Disciple I provides a 34-week foundational overview of the entire Bible, Old and New Testaments, from Genesis to Revelation. It includes a planning kit, study manual, DVDs, teacher helps, and more.